Providing the breathable, lightweight performance of Icebreaker's best-selling Flexi Beanie with a low-profile rear opening to accommodate long hair, the Flexi Ponytail Beanie is a go-to choice for chilly morning runs, high alpine escapes and anytime there’s a chill in the air. The beanie features their quick-drying, odor-resistant Cool-Lite™ jersey fabric that blends soft merino wool with natural Tencel® and nylon corespun fibers for added durability, ensuring you stay comfortable and cozy no matter what. 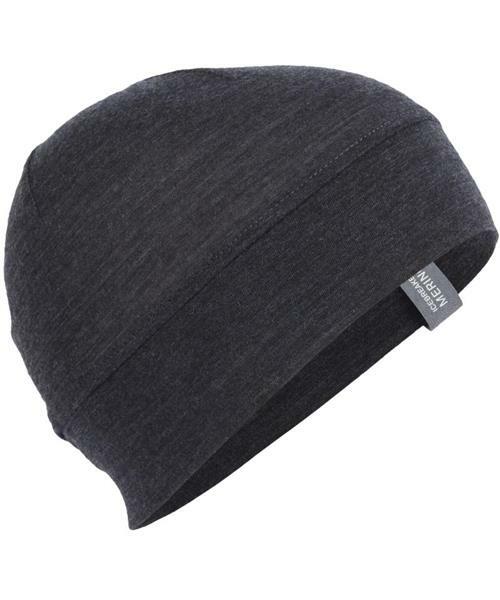 Flexi Ponytail Beanie is rated 2.0 out of 5 by 1. Rated 2 out of 5 by vanmountaingirl from Not the most flattering on my head The only reason I would have kept this hat would be to wear it under a motorcycle helmet. The material is quite thin but it made me feel toasty after wearing it for only a few minutes.